The true mark of a movie’s success is making its audience forget that they’re watching a movie. As we’re brought back in time to say World War II, or to outer space, for a span of time in a theater or a living room we’re supposed to forget about everything else. That is dependent on the kind of visual effects in the movie. And that is where Nikola Todorovic comes in. Originally from Serbia, Mr. Todorovic grew up working in his Uncle’s video-rental store in the summers, which ignited his passion for film. Once Nikola arrived in Hollywood, he quickly found work as a visual effects artist, impressing and dazzling his coworkers with his talent. For his work on the upcoming film Little Boy, which stars Academy Award nominees Tom Wilkinson and Emily Watson, Nikolai was tasked with helping create visual effects that would illuminate the journey of the main character, a 12 year old boy, as he undertakes the seemingly impossible task of bringing his father back from the Second World War. One of Nikola’s most important tasks, for four final shots in the film, was to recreate a sunset that would take your breath away. Nikola rose to the occasion, and then some, by creating over thirty-five different possible shots for the director to choose from. The film’s producer was so impressed he believed that without Nikola’s work the film would not have been believable. For the film When Kings Battle, Nikola supervised the filming when it was done with green screens, and then in post-production he was able to recreate a world that transported the movie’s audience to the ancient ages. The film is about an emperor who becomes obsessed with a woman who already has a husband, and it nearly brings his empire to ruin. The film was honored with an array of awards, and had its premiere at the historical Grauman Chinese Theatre in Hollywood. 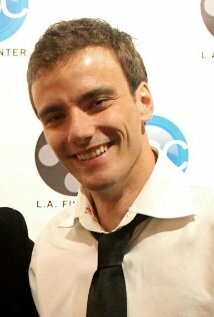 The film’s director, John Bucher, was so taken by Nikola’s work he plans to work with him on all of his future projects. Nikola’s work on the film was so incredible that he gained the respect of the Hollyshorts Festival, whose organizers invited him back as a jury member for the festival’s future editions. Movies are an escape, especially the kinds of movies that bring you to a different time – whether it’s in the past, or in the future. But the success of these movies almost completely depends on their visual effects, and Nikola Todorovic is the guy whose shoulders you want to be leaning on if you’re making a movie about World War Two, ancient Egypt or any other subject intended to transport the audience.